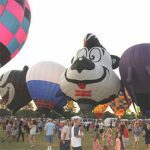 Wildly popular and sprawling event in west suburban Lisle features spectacular hot-air balloon shows, two stages of music, tons of kids activities, nightly fireworks and more than 25 food vendors. Fun for the whole family. Our five day festival includes FREE event admission and FREE entertainment staring…DENNIS QUIAD AND THE SHARKS, BODEANS, LONESTAR, TONIC and AMERICAN ENGLISH! PLUS…4th of July Parade, Carnival, Food, Beer, Wine, Family Activities, 3V3 Soccer, Stampede Run, Arts & Crafts Marketplace, and so much more! 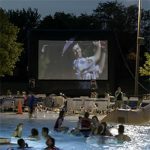 Enjoy the Disney movie “Coco” under the stars while floating in the zero depth area of the pool or lounging on the pool deck. Doors open at 8 PM, movie at dusk. $5/$6. Free for Seascape passholders. 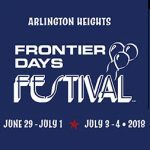 Celebrate Independence Day at Arlington with live music and entertainment all day and into the night with the best fireworks display you will ever experience, kicking off just after dusk. 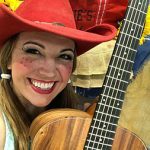 Miss Jamie’s Farm is a popular music show for young kids and their families, sharing values from life down on the farm through songs both new and familiar. Sing, dance, laugh and learn with Miss Jamie and her farm puppet friends! 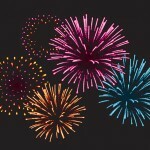 The Palatine Jaycees are proud to host Hometown Fest, Palatine’s Fourth of July Celebration. 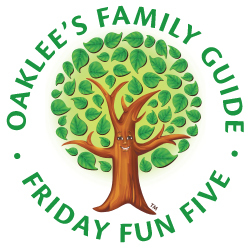 The festival includes fireworks, entertainment, food vendors, parade, carnival, business expo and craft fair, Family Day and many other family activities.